Take a step up from those plastic pots! 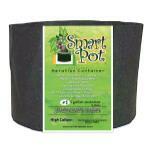 Use an eco-friendly and effective option, the Smart Pot. 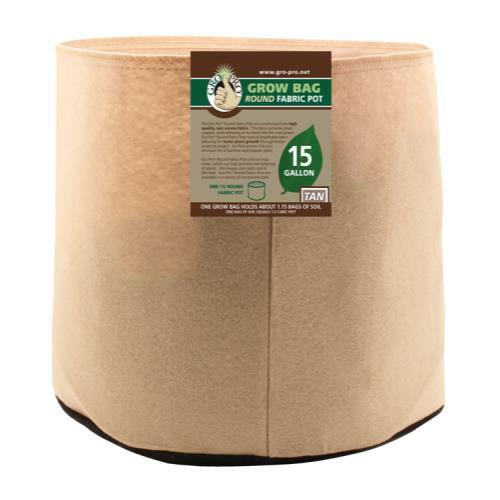 These fabric growing containers are more productive than plastic pots because they allow air to reach the soil and roots, improving drainage and keeping the root system from overheating on hot days. 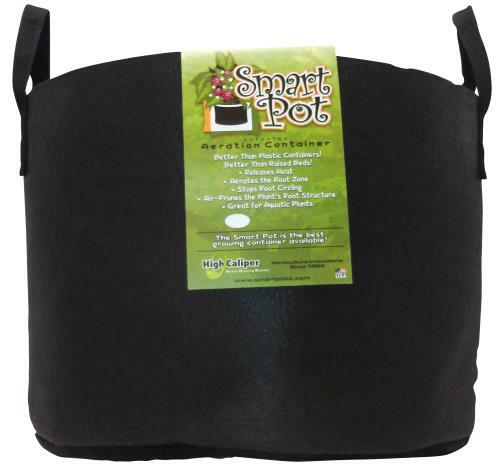 Smart Pot's aeration design then allows the air to prune the plant root structure and prevents plants from becoming root-bound! 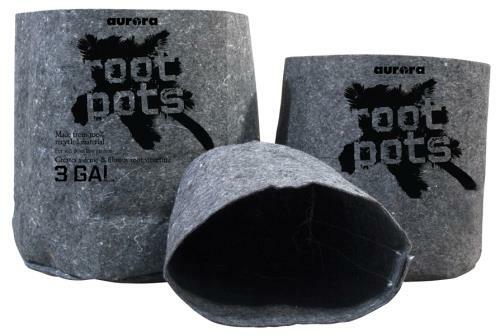 Due to the aeration , plant roots grow into the soft surface of Smart Pot causing the root system to expand greatly becoming thick and healthy. 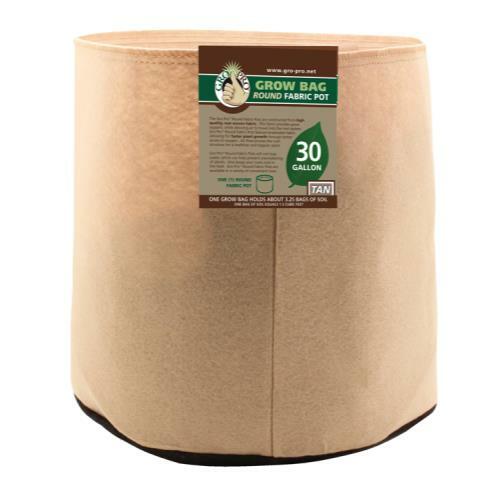 As a result, plants will also become stable more quickly after being transplanted. 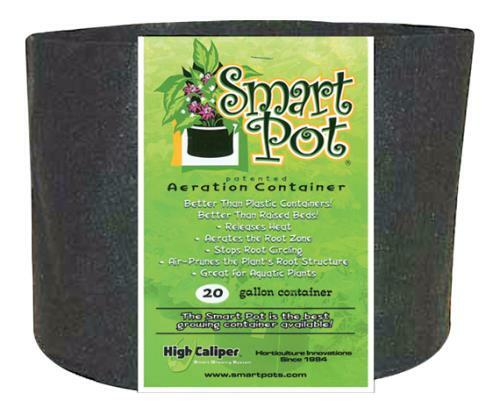 Simply remove the containers before transplanting or allow the plant to live out its life in the Smart Pot.Traditional BLACK color. DIMENSIONS: 20" Wide x 14.5" Tall. Many additional sizes available!